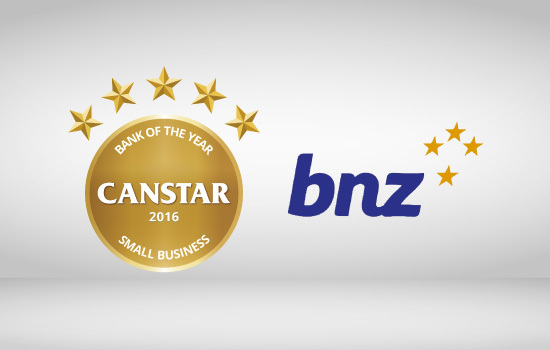 It is a phenomenal achievement: Bank of New Zealand (BNZ) has proved its enduring commitment to helping small business customers by winning CANSTAR’s Bank of the Year – Small Business Award for the sixth successive year. 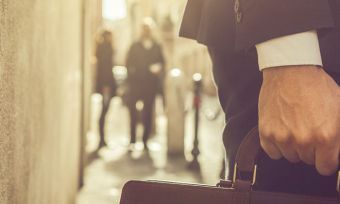 Small businesses are the lifeblood of New Zealand’s economy and all businesses need specialist business banking support from their financial institution. Each year CANSTAR researches and rates the business banking products and services offered by New Zealand’s financial institutions, with the Award recognising the institution that offers an ideal mix of strong products and strong services. CANSTAR Bank of the Year – Small Business is awarded to the institution that provides the strongest combination of business loans, deposit and credit card products as well as excelling in a range of institutional factors. The award aims to give recognition to the institution that backs up quality products with great service to small businesses. With a passion for what they do, an innovative culture and a strong focus on keeping the end goals of their business customers front and centre, BNZ continues to set the pace on business banking products and service. CANSTAR caught up with BNZ’s Head of Small Business Harry Ferreira to find out what business borrowing conditions are like and what drives BNZ’s team to success. Q: The RBNZ has cut the official cash rate to just 2.00%. Do you expect to see increased demand for business lending as a result of this? A: We don’t expect the OCR change to impact demand for business lending based on the lack of movement in the New Zealand dollar after the announcement. One of the reasons behind the decision was to put downward pressure on the New Zealand currency to support the primary exporting sector that has been struggling under the high dollar. Given the linkage between the primary industry sector and small businesses across New Zealand a continued high dollar could have a negative impact on growth aspirations. Should this change however we would expect to see business moving quickly to take advantage of a growing market. We think the RBNZ moves around LVR are going to have a greater impact on Small business’s propensity to borrow on the balance sheet of the business as opposed to using personal or investment properties to raise funds to further expand or develop their businesses as all business debt is excluded from the LVR calculations. OCR reductions can also result in reduced interest rates for home loans, these reductions have previously increased consumer cash and subsequent spending. However, with the LVR changes Mum and Dad investors may choose to reduce debt or save more as the “borrowing headroom” they may have had previously (if they were below 80% on investment properties) has now gone. Q: BNZ offers some terrific checklists, templates and calculators for small businesses, via its Small Business Toolkit. What are some of the most popular of these resources that your customers use? A: Our Small Business Toolkit is an excellent place for many small businesses starting out or looking to expand. All the templates are designed for anyone to use and provide practical outputs. The toolkit provides all the key templates for information that a business should be considering or understanding as they grow. Two of our more popular tools are the cash flow and break even templates. The break even tool allows business owners to very easily get an understanding of what they need to do to achieve a minimum return, broken down to sales per week. They can then take this information and incorporate it into the cash flow forecast template to give a very clear understanding of what cash is needed to achieve desired business outcomes. Having this allows businesses to make better decisions, be better with their money and helps ensure they are fully prepared when discussing funding with a business manager. 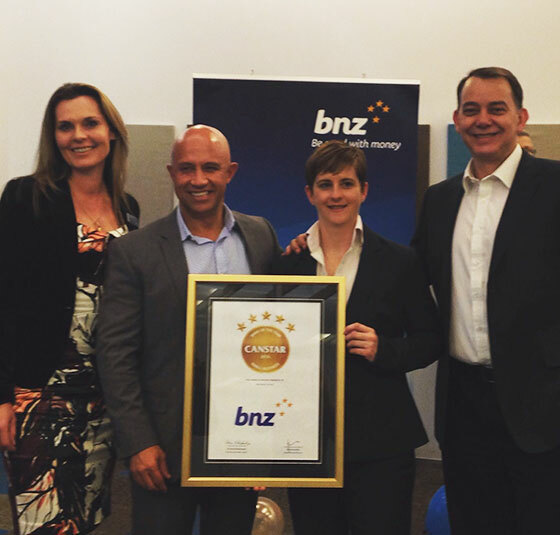 Q: This year’s Small Business Award makes it a phenomenal six years in a row for BNZ. What is involved in staying ahead of the competition? A: It is an incredible honour to have received this award six years running. We’ve worked hard to improve what we deliver for our small business customers and this award shows it’s really working. 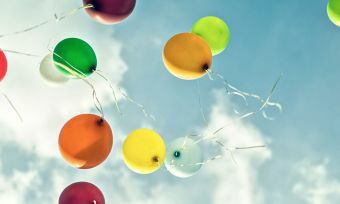 As a business we focus on providing an offering that allows businesses to get ahead of the game. We ensure that when we are looking to create or develop a new product we create forums or focus groups that give our customers a chance to share what is important to them and shape what we ultimately deliver. We invest heavily in innovation. We have a team with the scope to think holistically about the customer experience both personally and commercially with a brief to think beyond banking. Technology is playing an ever increasing part in providing customers with better access to Business mangers when they need them and a better ability to transact when it suits them. We also spend a lot of time away from our desks visiting our small business customers and listening to their ideas and plans for the future. This helps drive us to work with them to achieve their goals. Through this approach our offering has become about more than just banking. We believe that this is our key difference, as this philosophy allows us to remove the perceptions around what a bank is and lets us think creatively about what a bank could be. And with some exciting developments in the pipeline the future is looking very exciting for our customers. You can download the CANSTAR Bank of the Year – Small Business Award here.